The second in a series of rare bird beers. Rare Beer, Common music, endangered numbers, and a rare quiet day in. Haere ra e nga Titi — farewell o Hutton’s shearwater! This is a limited edition of 900 bottles, I have number 312, of a 650ml bottle of a beer that is 5.1% ABV, 153 calories a serve size, 50 IBU things, and 2.6 standard drink units. RareBird beer, Rare Sunday beer. Soured from Lactobacillus and aged on Nelson boysenberries, we launched this one at the Great Australasian Beer Spec-TAP-ular, in dedication to our little Trans-Tasman seabird. So it does have a sour aroma on opening, but has a note of boysenberry. Pour is a very deep pink beer, with what starts as a really pink and fluffy head of foam that dissipates. It looks a bit like fizzy ribbena drink. Aroma in the glass is distinctly boysenberry, and that note that it’s sour. 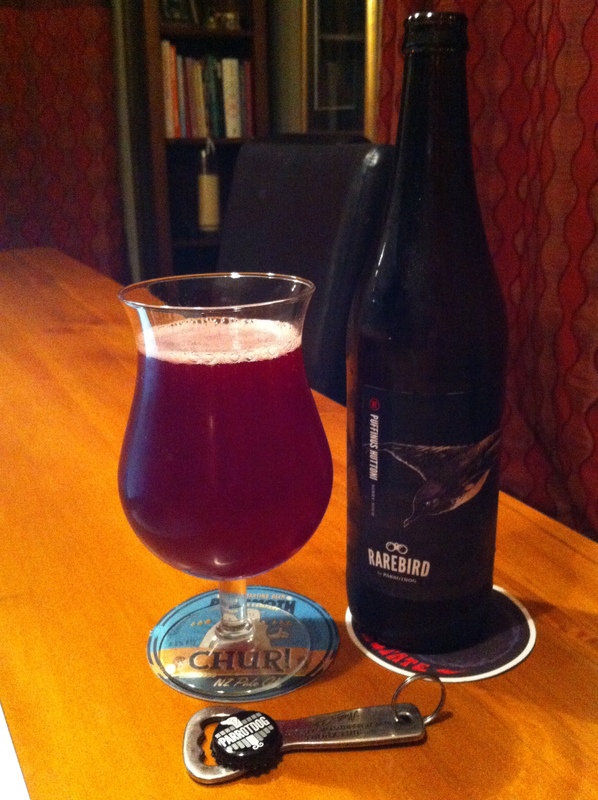 Taste, well it’s a sour, and almost disappointingly the boysenberry doesn’t seem to carry to the flavour so much. It’s also not that sour. When then you get to a middle place, you might like more boysenberry flavour, but this would add a sweetness that you don’t want in a sour beer. 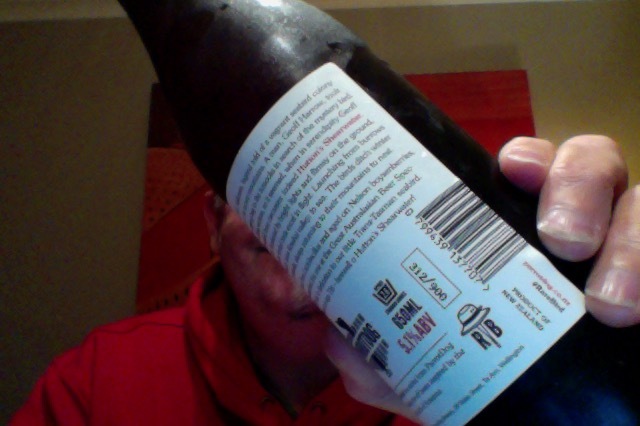 It’s quite easy drinking though, does not have that pucker up sourness that some beers in the style have. So it falls into a strange half-place of being then just a lightly soured beer with no defining taste, and other than a really colourful hue not a lot to recommend it. Without a high alcohol content as this warms it just becomes like an almost still/flat lightly nondescript drink, the lightly soured note just there, not really a thing, not the character of this. For me a bit of muddle. The pdubyah-o-meter rates this as 7 of its things from the thing. I can’t get past average, and I’m loath to think that this is less than that. In and of itself it is though quite unremarkable and could possibly or should be something a bit better, I don’t know that the brewer would be happy with the overall, even if in points this might have been where they wanted it to be. I might not be if I was that person. Am I enjoying it? Not really, it’s a bit underwhelming. Would I have another? Not really, there are better sour beers if you wanted sour as a thing. Would I share with a friend on a porch and set the world to rights? I might as it has a great story and reason, but then I’d be thinking perhaps just take the story about it and not the actual beer, that’d be a good talking point after all. Music for this. ‘ Walking Shapes ‘ and album called ‘ Taka Come On ‘, of course on the Spotify. Walking Shapes are a five-piece rock band from New York City. 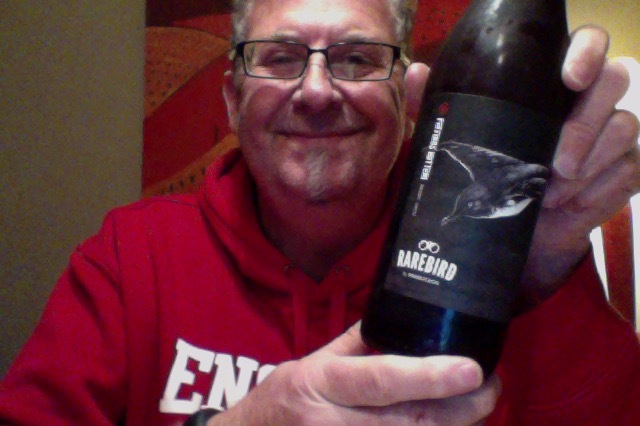 This entry was posted on July 26, 2015 by Philip Walter in Beer, Beer of New Zealand, Beer Review, Craft Beer, Critic, ParrotDog, Sour/Wild Ale and tagged craft beer, ParrotDog Brewing, ParrotDog Rarebird Puffinus Huttoni, Sour beer.